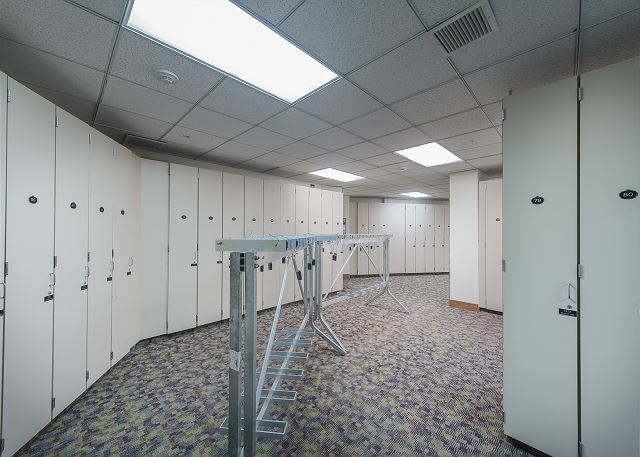 ski lockers as well as the NEW GONDOLA. 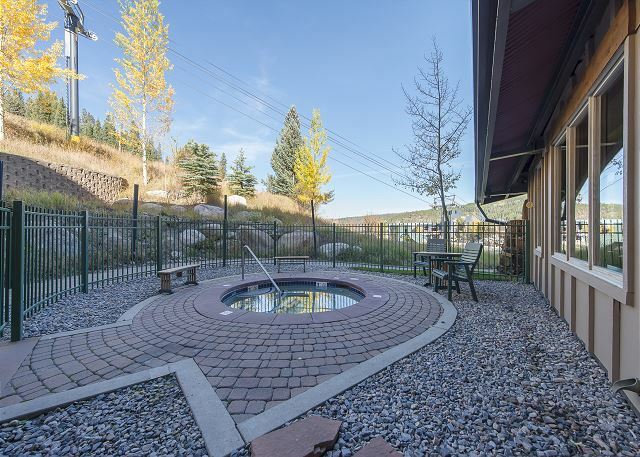 This unit faces the continental divide and offers spectacular views of the village and skating pond!! New paint, new king sized bed, mattress and bedding and new TV's are some of the recent upgrades. I would absolutely recommend staying at this condo. The king bed was quite comfortable, kitchen fully stocked, quaint fireplace, and incredible view. We overlooked the Christmas tree and watched the lighting ceremony right from our window. The building allows for direct ski-in-and-out. Starbucks is right outside your door as well as an absolutely fantastic Mexican restaurant, "Lime". We ate there three times over the course of our stay. Honestly, you cannot get a better location as you are in the heart of the village. Nic and Charlotte (condo managers) were fantastic. They arranged for an early-check in and were amazingly accommodating. They answered their phones on the first day (even on Black Friday where people when people are busy shopping). In short, great experience. We want to stay here again in the future. Thank you Glen for taking the time to leave us detailed feedback. We appreciate the excellent care of the unit you and your guests took during your stay and we are so glad you had such an amazing experience. The lighting of the tree ceremony right from you window make for great memories and of course got to love the Starbucks outside your door and "Lime" is a great Mexican restaurant. Future guests will also appreciate your feedback. Please keep us in mind for any future trips planned Winter Park way. Take care and Happy Holidays! The condo is perfect if you want to be on the hill. It is really small in sqft so more than yep people is really tight. There was only one towel per person which is insufficient. Storage is limited so if you are bringing a lot of gear this is not the space for you. Mgmt was very responsive. Wonderful Sarah! We would absolutely love to have you back! It always feels like a completely new place summer vs. winter. We are so glad you enjoyed your time in the mountains and look forward to having you back again when it's a little bit cooler. Great spring break ski trip! We had an amazing vacation. 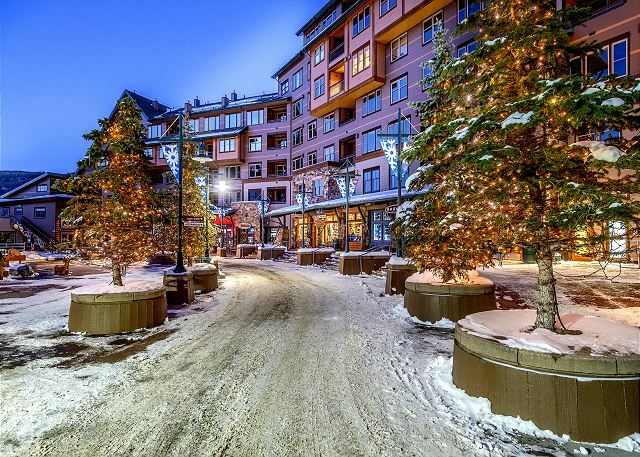 Condo is very convenient to the slopes and was in very nice condition. Property manager Nick was extremely helpful! Only complaint is that the sofa bed mattress was extremely uncomfortable but that is not unexpected. Overall a great place to stay! Wonderful! We are so pleased that you enjoyed your visit with us! Thank you for the compliments, we appreciate your feedback. We would love to have you back again. Please keep us in mind for your next Winter Park excursion. Zephyr Mountain Lodge #1406 was very clean, comfortable and enjoyable. Thanks for the opportunity! Wonderful! So glad to hear your experience was great. Please come back and visit us again. We would love to have you back. Thank you for your feedback. We are so pleased you had a nice visit with us. We appreciate how respectful of guests you were and we welcome you back again any time. Thanks again for choosing Winter Park Management. Take care. Wow! So pleased to see that you enjoyed your vacation with us. Thank you Melissa for taking the time to give us feedback. Please come back and visit us again soon! We would love to see you again! Take care. This was the perfect location for us! It is a true ski-in, ski-out and it was close and convenient to everything.The size of the condo was perfect for two people. WP Mountain Village is great--restaurants, shops, etc. (The town of WP is just okay in my opinion.) We will definitely rent this unit again! Thank you for your feedback and we are glad you enjoyed your visit with us. Please keep us in mind for the future. Take care. Thank you for your kind feedback. It is well appreciated and will be passed along to all our staff. We would love to have you stay with us again for your next vacation. We arrived to a nice and clean condo. Staff at Winter Park Management was very nice and accommodating. Really liked the location (very easy to get to slopes). Highly recommend staying here and booking with Nick & Charlotte, they went out of their way for us. Thank you for your positive feedback. That was nice to receive. We appreciate how respectful you were to the property and we are ever so glad you had an enjoyable stay. Please come back and visit us again soon. Take care. Charlotte at Winter Park management was the best. She was very patient and helpful in the planning of our trip. The Condo itself had a great location and was very clean and comfortable. I found the King Size bed to be very comfortable but if you don't like memory foam (like my husband) be aware that's what it is. I found the kitchen to be pretty well equipped but it could use a bigger variety of pots and pans. If you are trying to save money by eating in it's hard to cook breakfast for a couple of people with one 8 inch fry pan. 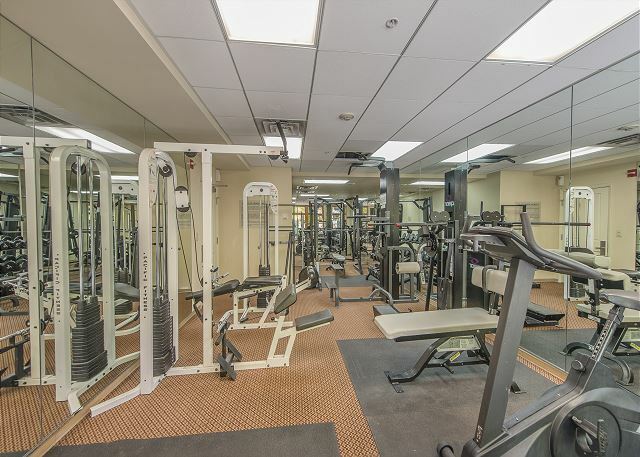 All in all it is a great condo in a great location. Would definitely recommend. We appreciate your kind words and great feedback. We will make sure to get more pots and pans into that unit. We are glad you enjoyed your visit and thank you for taking such nice care of the property and for being respectful guests. We look forward to seeing your group back again soon. Take care. Happy Holidays. We enjoy the relaxing pace of being on the mountain, and the views of the Divide. Town is only 5 min away. The management company responded to questions within minutes, and were very helpful - especially when we thought we were staying a day longer! They helped us to move to another available condo for our last night, and had a great sense of humor! The king size bed was WONDERFUL with a memory foam topper. In the base village we recommend Lime's for Mexican and Goody's for crepes, espresso and breakfast. The Back Bowl Soup Company was also very good. The only downside was that there was no linen/towel change for an 11 night stay. The cushions on the sleeper sofa are worn out, and need to be replaced. At $73 a night this is a recommended property! Thank you for all of the kind words! Next time just ask for a linen / towel exchange and we are more than happy to accommodate. Thanks for staying with us. Zephyr Mountain Lodge is a dream! This was an incredibly comfortable setting for the week. Our condo had a fully stocked kitchen that we took advantage of and made our trip more enjoyable. It was spotless. There was a TV and xbox 360. Wifi access was sufficient and the rental agency had everything dialed in prior to arrival. The key was mailed to me and allowed me to avoid check-in or any of the time consuming issues usually involved with arrival. We were able to card-in to the parking garage and take the elevator directly up to the room. This was a perfect location and that price was amazingly affordable. Thank you. We're coming back next year. Working with Winter Park Management was a great experience. Everything went smoothly. The condo we stayed in was a great location for us to explore the valley. The condo was clean and comfortable. Extremely convenient location in the Zephyr slopeside building. Condo was clean and comfortable. Communication was clear and prompt about arrival and departure procedure. Will stay again. My only complaint was that there were not bowls for cereal/soup that I was able to find. We made do with coffee cups. Otherwise everything needed for meals was there. Smooth process from reservation to check in. 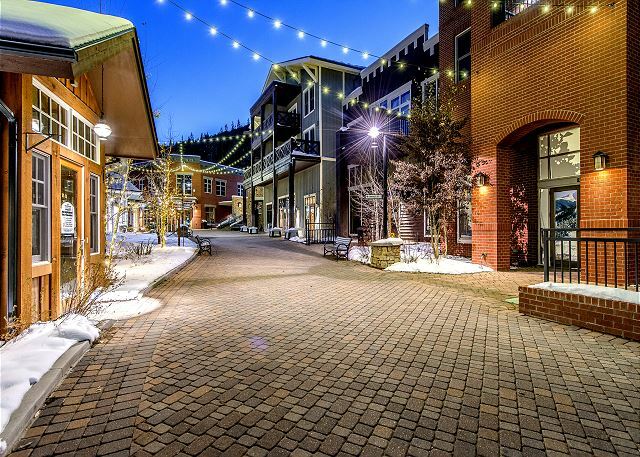 Perfect location for the slopes and for shopping/dining! The winter 2017 Vacation Rental Experience was AWESOME. And I would recommend this property to friends and family. The property was as described online and met our expectations. To others staying in the Slopeside building - as I had only stayed in the Riverside building previously – the entrance to the parking garage is at the Riverside building. 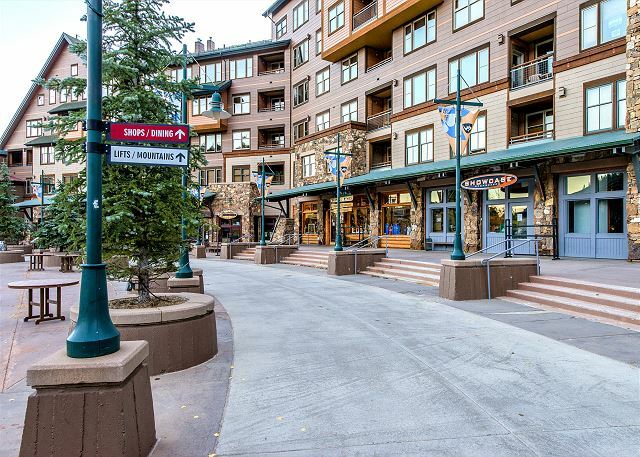 Slopeside does not have a separate garage door access, you drive in at Riverside and park at the Slopeside elevators. You can ski down to the Winter Park base area lifts if you go out the 2nd floor doors which are only a few feet away from the storage lockers between the hot tubs. Directly ski in from the Mary Jane side via Corridor and from the Winter Park side under the Zephyr Express chair. We made use of the small convenience store (mercantile) as well as a ski rental, coffee, souvenir shops in the base area, and the grocery store in Frasier, CO less than 10 miles away. During our stay, the two times I contacted the management company, they either picked up the phone or returned my voicemail – thank you, Nick – and they were gracious and accommodating. Thank you for the kind words! We are so happy to hear you had a great vacation :) Hope to see you back at Zephyr again! This was our 2nd stay at the Zephyr in Winter Park. We loved it!! We had such a great time and will stay in the Village again in the future for sure. Great skiing, easy access to everything, love the Village. Thanks for taking your time to share your experience with us....and thanks for the 5 star rating!!! Relaxing, stress-free accommodations right at the resort. The shuttle service provided easy transportation to Winter Park and Fraser. Thanks for taking your time to write about your stay at this nice 1 bedroom at Zephyr Mountain Lodge. Glad that you enjoyed your time and that the property accommodations worked out great for you!!! Great condo in great location. Stayed here with my husband and 4 year old boy. Booking was easy and straightforward and management (Charlotte) was very helpful and professional. Wouldn't hesitate to book again. Has everything you need. Thanks for your time writing about your stay at this nice 1 bedroom at Zephyr. Glad that I was able to help in the process of planning your stay. Hope to see you back again .....soon!! Very attentive owners that responded quickly to a small mix up with ski locker keys. They handled a minor inconvenience with urgency and professionalism early in the am. Can't beat the ski-in /out location of the unit. Appreciate you writing about your recent stay at this 1 bedroom @ Zephyr. Thanks for your compliments on our service level!! Awesome location...unit is slope side...pick up skis in ski locker, out the door and ski down to lift. Unit very nice and as pictured. King size bed, BUT it is VERY FIRM!! Only small details missing, like dishwasher soap and the batteries in the TV remote were dead. But we'd take this place and building again! Appreciate you taking your time to write about your stay at this nice 1 bedroom @ Zephyr Mountain Lodge. I will make sure that we get someone up to replace the batteries right away!!! Great ski in/out experience. I'm biased by the great snow, but we had a great time. Also, there is a crepe place that we hit twice in 24 hours. Garage is a hassle, but minor issue. Karin G from Lake Elmo, MN does not recommend this vacation rental. Upon arrival, the room smelled. We called the management company and nothing was done. The furniture is old and there is little room for storing your belongings(very limited closet space). The bedspread had remnants of a past guest good time. No linen service, no housekeeping, and very limited paper products provided. Very poor upkeep of the common areas. Someone spilled food near the elevators that remained there the whole week. Find the stairs or plan to wait a long time for the elevator. The only good thing about this condo is its location. Other than that, the Super 8 is better. Guest notified us of a 3+ hrs earlier arrival than scheduled, and we, complimentary, gave them an early check in. We do use green cleaning products and one of the ingredients is vinegar. Guest did call us upon their early check in, complaining about room smelling like a jar of pickles. If guest had checked in at 4 pm, or later, the room would not have had the scent of vinegar!! Furniture old ??? - one can debate that. Bed in unit is about 14 months old. Sofa got new cover at same time. For a 85 dollar cleaning fee, we are unfortunately not able to provide daily house keeping or linen change, but as guest was advised - such service can be provided for an added fee. Very first time of the season that I have heard that we do not provide enough paper products - but I guess after an eight day stay, it is possible that one runs through four rolls of toilet paper and two rolls of paper towels. A simple call to us - and we would have brought up additional supplies (but no such call was placed). Coming in at prime Spring Break - during JR Championship week, can lead to the elevators being constantly occupied. Unfortunately I cannot speak of or comment on the poor upkeep for the common areas as it is not our responsibility - but I will take responsibility for the bedspread...which I will insure will be cleaned or replaced if needed (don't know what kind of stain on there - but I will of course make sure that we do take action on that!!!) Never fun to read when a guest had a poor experience, but I truly don't feel that this review is completely fair. 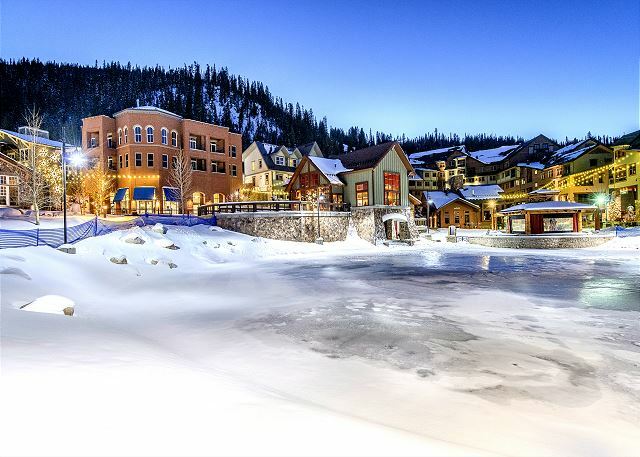 If one only gives the location 3 out of 5 stars...then I guess we will have a hard time making them happy....cause there are no other properties closer to the slopes in Winter Park than the one she stayed at. Our vacation rental process was easy, efficient, and affordable. A Very comfortable King size bed with foam mattress was a nice surprise. My husband and I enjoyed a great three-day weekend in this condo. The location was ideal for ski in and ski out. The condo had all the basic amenities we needed, including ski lockers, outdoor hot tubs, in-condo fireplace, TV, coffee pot, and other kitchen equipment. We enjoyed one dinner in town at Deno's and made the rest of our dinners (and breakfasts) in the condo. We had lunches at the many lunch spots on the mountain. The reservation, check in, and check out processes were very easy! Thank you for a great, no-fuss weekend. Thanks for taking your time to write a review about your stay at this nice 1 bedroom at Zephyr Mountain Lodge. We are glad that you found the condo and instructions plus check in instructions to your satisfaction. Always nice to hear when a guest had a good time and that that you had no "hick ups" at all. Looking forward seeing you back out here in Winter Park again. I had one complaint: there was a (mild) odor in the condo that persisted my entire stay. I'd notice it when I'd enter but would adjust and not notice after being in the room for a while. I tried airing it out w/ open doors and tried cleaning the trashcan, etc. but couldn't localize it, I'm guessing it is in the carpet. Otherwise the place was great. The condo is very clean and described correctly. 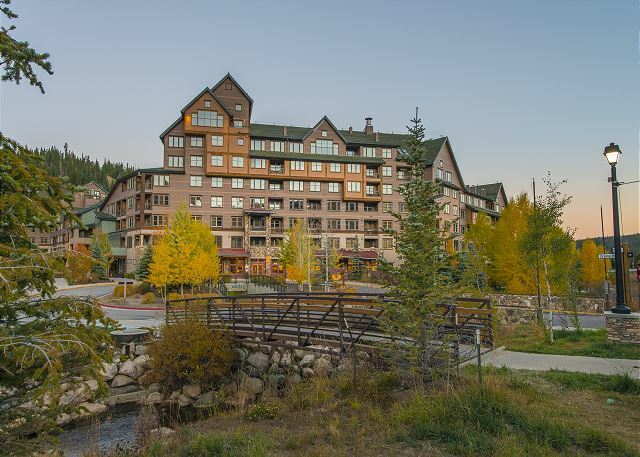 It was perfect for our 2 adult, 2 child stay at winter park. It even had a balcony to sit on in the morning/evening. I really like that right outside of the ski locker, you can get into your skis and ski down to the Zepher lift and you are on your way. There are restaurants right out the front door and the kids loved the ice skating. Charlotte and Nick were very good about getting me the information packet for the condo (booked about 3 weeks prior to stay) as well as some extra supplies while we were there. We really enjoyed ourselves and will likely stay her again in the future. Thanks very much for sharing your experience with us and others that may have interest in staying in this condo:) Glad you had a good time; that you enjoyed the balcony and the convenience of the ski locker / the ski lifts / the restaurants ...and that the kids had a good time ice skating at the frozen pond right there by Zephyr Mountain Lodge. We will look forward hearing from you again ...should you plan on coming back to Winter Park!! Thanks for taking time to write a review and thanks for the high ratings + recommending this property to others. We do hope to hear from you again when you come back. The property was clean and well maintained. Easy access from the ski lockers to the Zephyr lift.